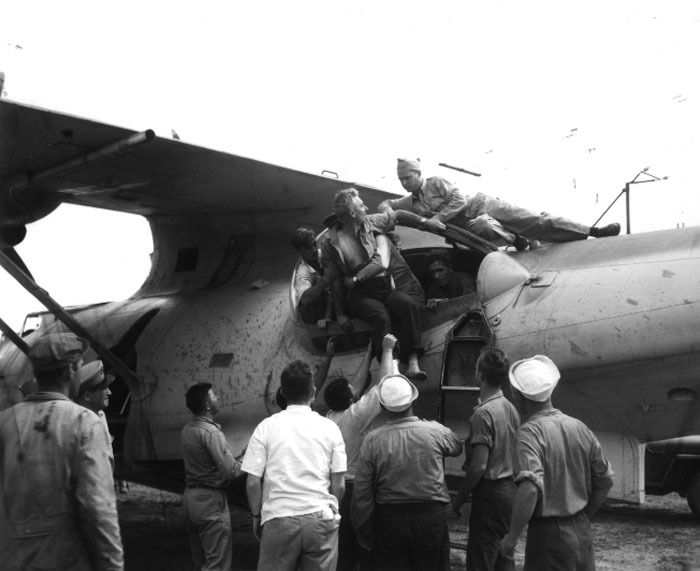 Survivors wave to the plane. 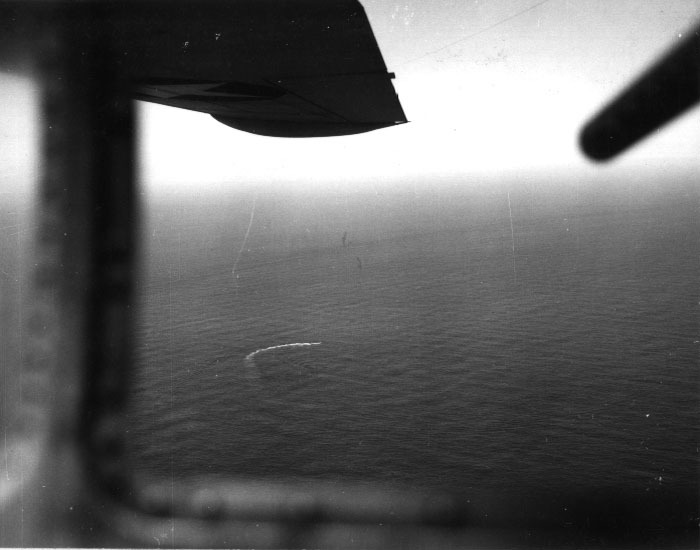 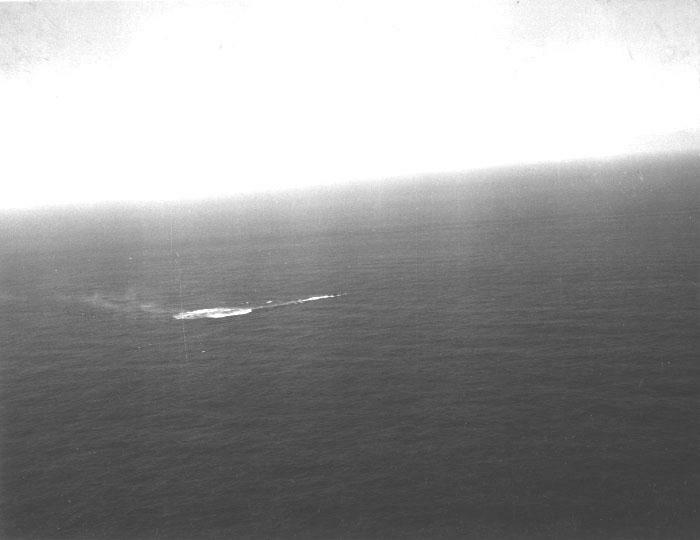 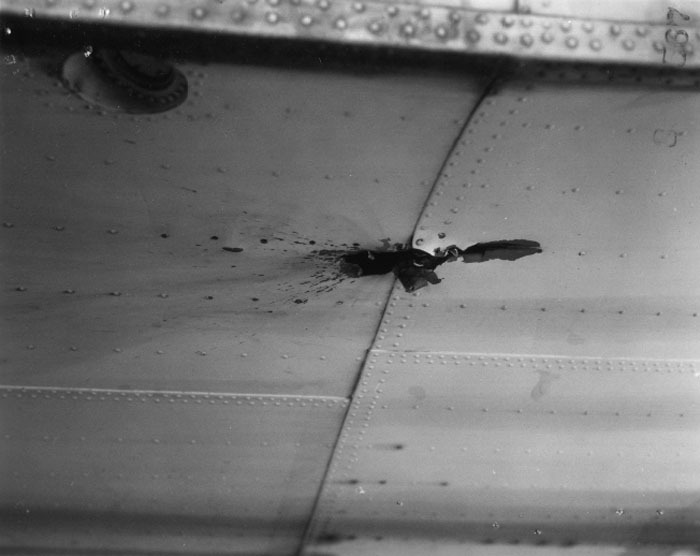 LTJG Rowland's plane sighted 5 survivors and dropped 2 rafts before departing. 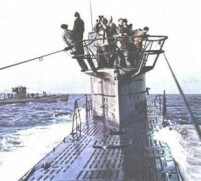 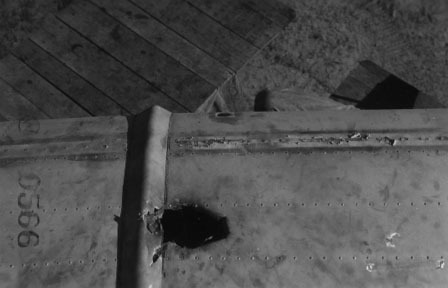 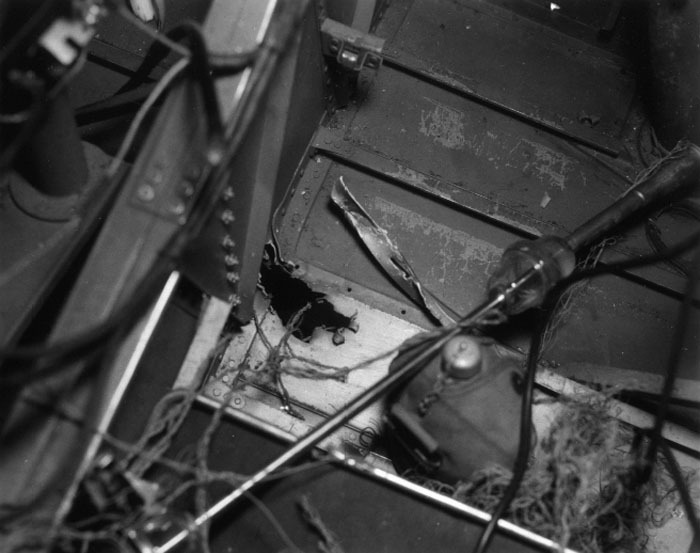 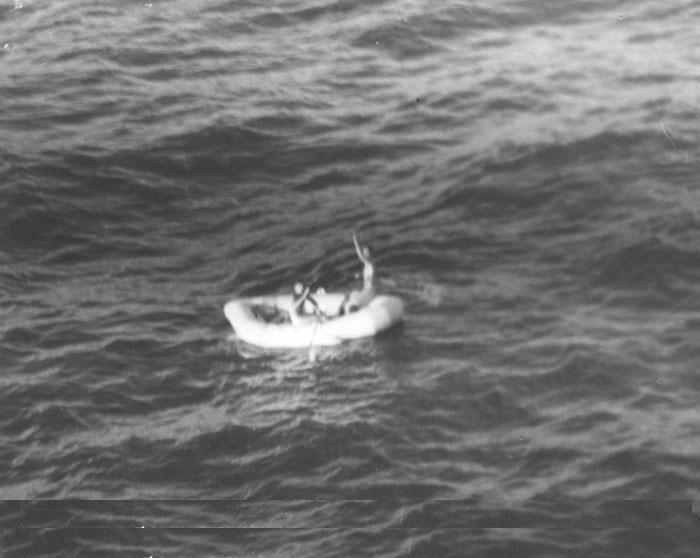 One survivor died immediately and four, including the C.O., Kapitänleutnant Heinz Müller who was severly injured, climbed into the rafts. 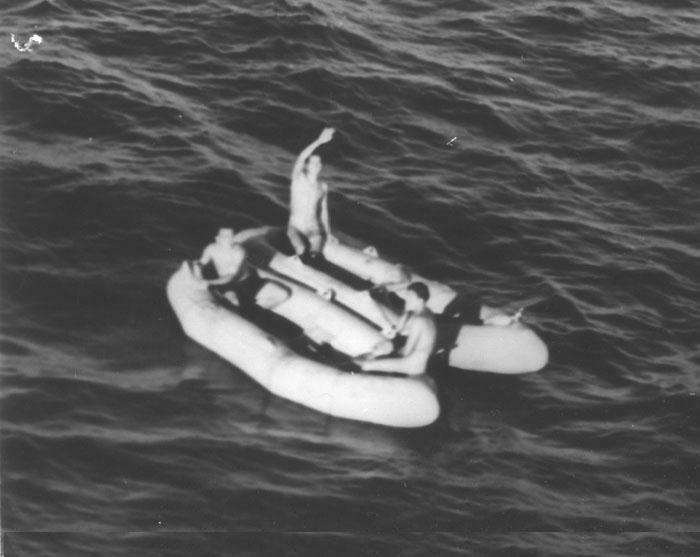 They were adrift for 16 days before being rescued by the U.S.S. Siren.